It will be 25 years come October that Ronald Koeman all but decided that England would not qualify for the 1994 World Cup finals on that night in Rotterdam when every decision went the Dutch team's way and English football just about hit rock bottom. That was Koeman's night, including his tactical foul on David Platt and the re-taking of his free-kick. It was also the night Graham Taylor endured what would become the textbook managerial meltdown on the touchline. Now Koeman finds himself trying to resuscitate this mediocre Dutch national team, not to mention his own management career, against a World Cup finals-bound England team. With the Dutch legend about to lead the national team for the first time, it felt low-key at the Johan Cruyff Arena yesterday as just a scattering of journalists attended to hear Koeman name Liverpool's Virgil Van Dijk as his new captain. 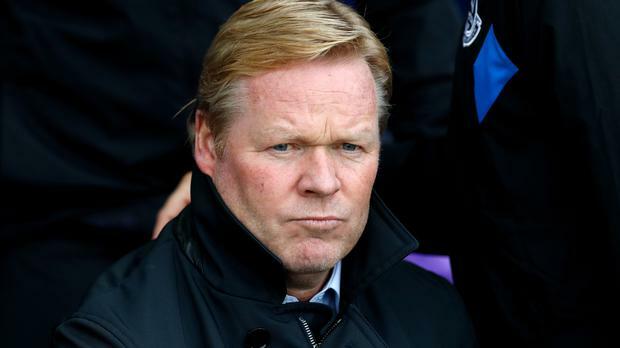 This was supposed to be his last job before retirement but, sacked by Everton in October, Koeman has taken it earlier than he would ever have anticipated when his star rose again in the club game during two seasons at Southampton. "I'm really happy to be the Holland coach," he said. "I had a great time in the Premier League but now it's a different project." Koeman is expected to make a virtue of having a strong set of centre-backs, including Van Dijk, Lazio's Stefan De Vrij and Ajax's 18-year-old Matthijs de Ligt, by playing three at the back, adapting to five when out of possession. The Dutch played that way under Louis van Gaal at the last World Cup finals - a system that was copied from Koeman's Feyenoord side who had been so successful the previous season. Van Dijk takes over the captaincy from Daley Blind who has lost his place at Manchester United and in the national team. "My first game as captain is going to be something special - a little bit more so that it is against England. It is a big start for us again," he said. It's also a big night for Jordan Pickford, who has been handed a golden opportunity to press his World Cup claims - just as Jack Wilshere's fragile fitness casts a doubt over his. The Everton goalkeeper will start tonight's match ahead of long-term number one Joe Hart, Stoke's Jack Butland and the uncapped Nick Pope following an impressive debut against Germany in November. Wilshere, though, was laid low by a flare-up in his knee and did not travel with the rest of the squad. The Arsenal midfielder, who had been lined up for a first international appearance since Euro 2016 and faces a race against time to be ready for Tuesday's Wembley meeting with Italy. On the battle for the number one jersey, which has been muddied by Hart's failure to nail down a spot on loan at West Ham, England manager Gareth Southgate said: "If Jordan does well he gives himself a huge boost and us food for thought.